Finally got going on some curing for Charcutepalooza, but it's not completely done yet. Everything is now out of the cure and on to the dry phase. I chose to have a go at pancetta and guanciale. I tried the former a while ago and had great results, but for some reason I never put it into my curing rotation. I usually cure a belly for Maple Bacon about 2 times a year but never bother to take a portion and put it into a savory cure. Guanciale, on the other hand, I have never tried and was something I really wanted to. 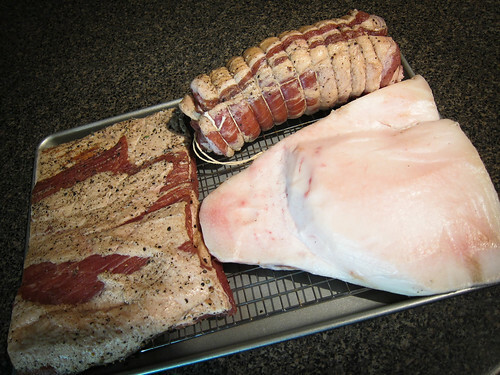 Getting a hog jowl has been tough. Some butchers don't ever stock hog jowls and others that do stock it probably keep the cut for themselves. I was only planning on curing a belly for pancetta but decided to pop into a local butcher, Olliffe and ask if he would be able to get me a jowl. As luck would have it, he had received a Tamshire pig in that day. The Tamshire is a crossbreed of a Tamworth and Berkshire pig. The benefits described to me by the butcher for this was that Tamworths have a long body, making for a long belly, perfect for bacon and that Berkshires have great fat and marbling. 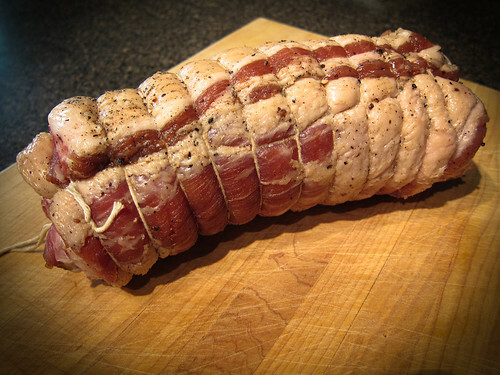 The Tamshire came from Perth Pork in Stratford, Ontario and they provide a fantastic product. I went ahead and prepped my cure, mixing my ingredients based on recipes provided in our guide for our year in meat, Charcuterie by Michael Ruhlman & Brian Polcyn. I was familiar with the pancetta cure and used it as is, but something was odd to me about the guanciale cure - the ratio of salt to meat was really high at 7%. I sent out a quick note to Michael Ruhlman and he replied that Brian thought it was fine, but he agreed that it was high and suggested that I could scale it back to the percentages used for a bacon cure. I was curious to see how it would turn out so I stuck to the original percentages listed in the book. I'll have to report back on how it turns out. The other comparison I'm looking forward to is rolled vs. flat pancetta. I've seen a few warnings about interior mold problems with rolled pancetta but my first time trying home curing was with a pancetta and I rolled it then, before I had ever read any scary stories about food nasties. I decided to give that a shot again and also set half of the belly to dry flat. So far I have both air drying in the lower part of my fridge. If I find that the lower humidity is making the exterior dry too fast I will probably move them to my wine fridge which is at a steady 65% humidity and 56F, and should be perfect. I knew exactly what I was going to make when zucchini season came around. 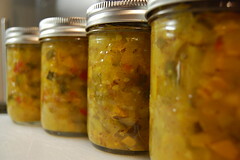 A few years back a friend was gifted a few jars preserves and one of them was a zucchini relish. I've never been a fan of the nasty green stuff served at a BBQs, but this zucchini relish was nothing like that and I loved it. 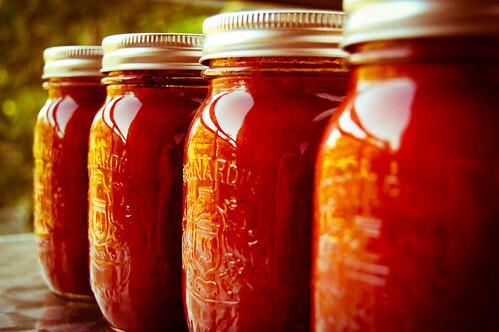 I really wanted to make my own batch and since this month's Can Jam theme was "cucurbits", the timing was right. My wife joined me, helping out with all the prep work. Everything was ready to go in the pot, and as soon as all the ingredients started to warm up on the stove, my wife commented on how great everything smelled. She kept saying how much it reminded her of something, and how familiar it was. 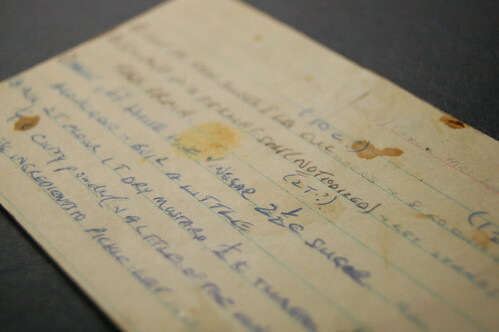 With a light bulb moment she ran over to her mother's recipe box that is crammed with old recipes for family favourites and newspaper clippings from years ago. 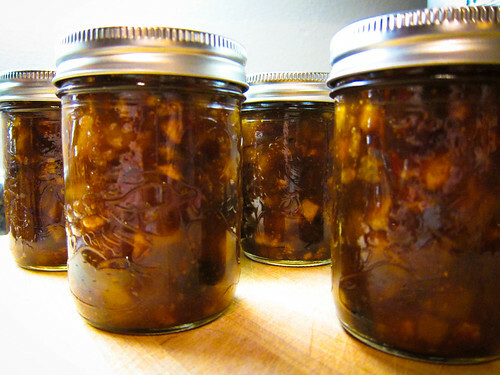 She shuffled through the cards and found a section with all of her mother's preserves, and plucked out a card with recipe for "Mild Mustard Pickle Relish". The card itself had a history of its own, a bit dog eared, a bit of food spatters and some scribbled notes in the corners. Now what I found amazing about all this, was how the smell triggered such a vivid memory for my wife. 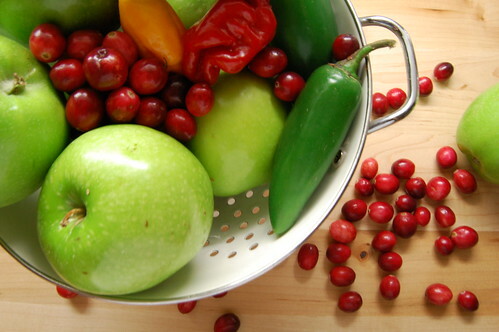 The scene was painted lovingly of her mother making this relish while she helped as a young girl. I loved how all of this was preserved. 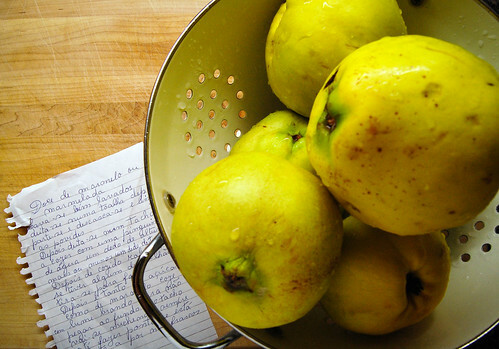 How a simple act of cooking brought out a far memory. It was pin pointed to that recipe card in a matter of seconds. The recipe I chose seems to be pretty generic as a few of my books' versions were very similar. I wanted to add a dimension of heat so I added some Jalapeno peppers and some ancho chile powder. We tried this one immediately and loved it. It was fabulous with some pork chops we had that evening. I'm sure it will be fantastic at a family BBQ in few weeks were we can enjoy and recall the fond memories it stirred up of my wife's Mom. 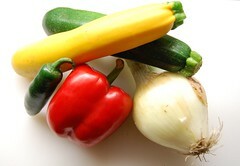 1 - Toss together zucchini, onions and peppers in a large non-reactive bowl. Sprinkle with the salt and stir well. Let stand for 1 hour, stirring occasionally. 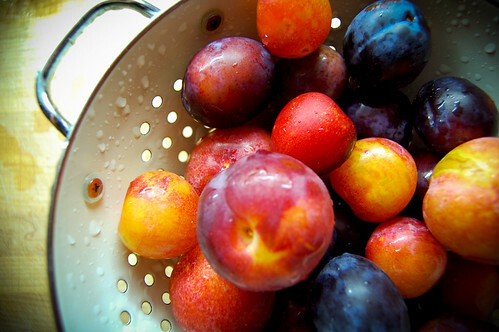 2 - Drain vegetables in a sieve and rinse, then drain again, pressing out excess moisture. 3 - Combine drained vegetables, sugar, vinegar, mustard, celery seeds, ancho chile powder and tumeric in a large stainless steel or enamel saucepan. 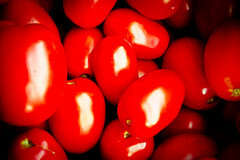 Bring to a boil over high heat, reduce the heat and continue boiling gently, uncovered for 15 minutes or until vegetables are tender. 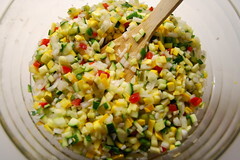 4 - Blend water and cornstarch, stir into vegetables. Cook for 5 minutes or until the liquid thickens, stirring often. 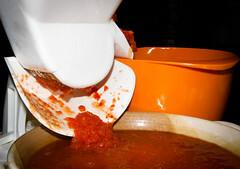 5 - Remove hot jars from canner and ladle relish into jars to within 1/2 inch of the rim. Process jars for 10 mins.